English and Maths are cool! We had fun creating Calligrams (shape poems) in English. 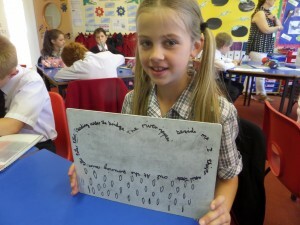 First they copied a poem out into the shape of the given topic on their whiteboards and then they had a go at creating their own Calligrams using their class reader, Holes! 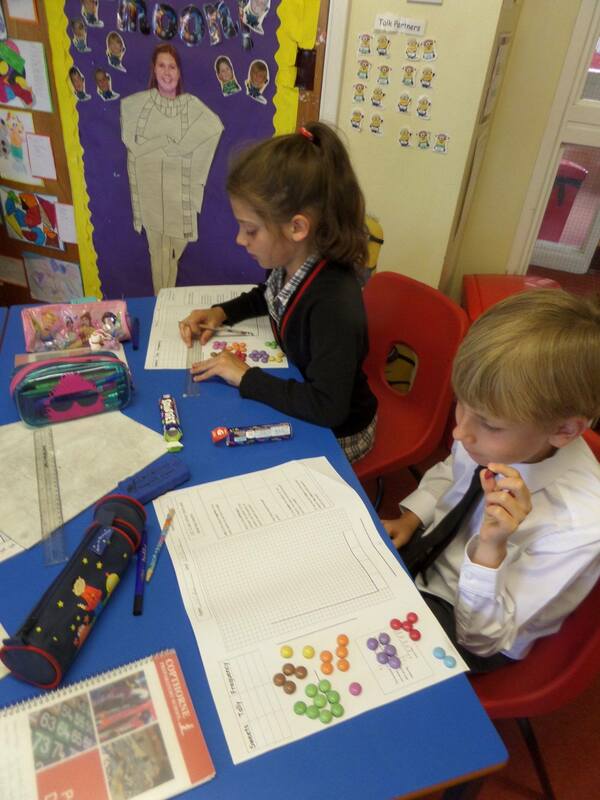 We also had great fun in Maths using smarties in their data handling lesson #Real life #Maths is cool!